Buy, Sell, Loan on Gold and have in-house appraisers ready to give you the best deal on your unwanted gold. Cash for Gold Los Angeles! 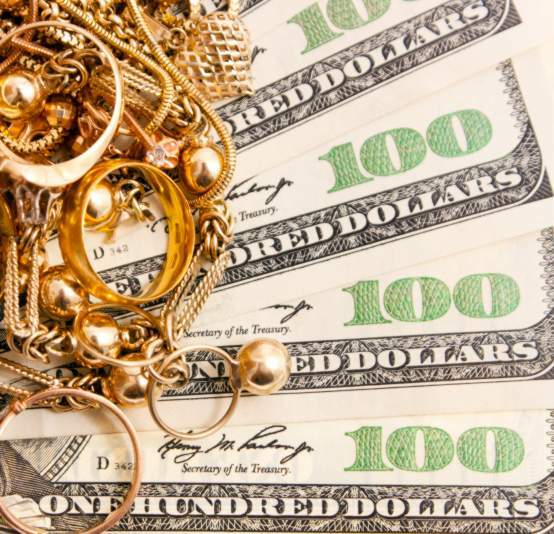 At Gem and Loan, we give you top dollar for your gold earrings, gold wedding rings, and other types of gold jewelry, get instant cash for gold in Los Angeles. We accept items in any condition, broken, twisted or missing stones. Because we we work with large volumes, we are able to pay you more money for your unwanted Gold, Silver, and Platinum items. Now servicing the Los Angeles metro area as well, we are here to see that you sell your gold for the best price anywhere. At Gem and Loan, we have in-house appraisers waiting to help you get immediate cash for your gold in Los Angeles.